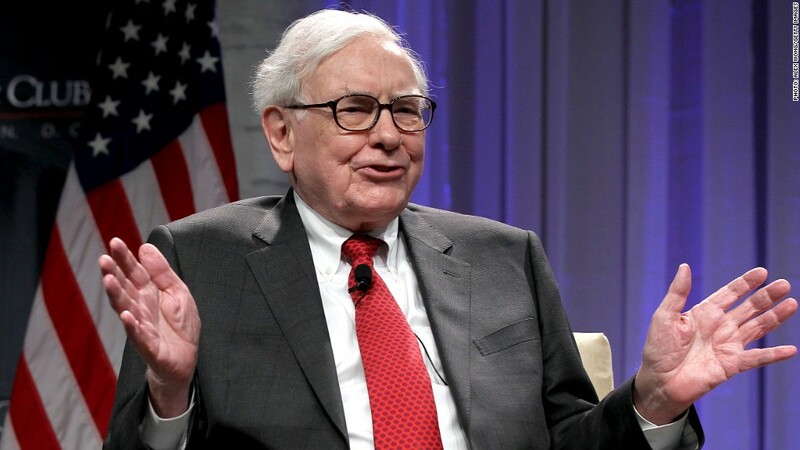 Warren Buffett, chairman and CEO of Berkshire Hathaway, has been leading a push to increase philanthropy among wealthy individuals. Warren Buffett celebrated his 82nd birthday Thursday by announcing an additional $3.1 billion in donations to the charities run by his three children. In 2006, Buffett pledged 17.5 million Class B shares of his firm, Berkshire Hathaway (BRKB), to each of his children's foundations. In an open letter to the three dated Thursday, Buffett said they had "exceeded my high expectations" in making use of the gifts so far, and that he was upping his pledge by 12.2 million shares each. At Thursday's market price of $84.19 a share, that translates to an additional $3.1 billion in total. Buffett has been distributing a portion of the gift each year, with the three foundations in line to eventually receive roughly $7.5 billion, or more than $2.5 billion each. Buffett is the world's third-richest person, according to Forbes Magazine, which pegged his net worth earlier this year at $44 billion. He has previously announced plans to give away more than 99% of his fortune during his lifetime or at death. Buffett's son Peter, along with his wife, Jennifer, runs the NoVo Foundation, which is dedicated to fighting inequality and gender inequities. Another son, Howard, runs the Howard G. Buffett Foundation, which works in the developing world to improve agriculture and clean water delivery. Buffett's daughter, Susan, runs the Sherwood Foundation, which supports non-profits in his hometown of Omaha and funds early childhood education initiatives nationally. Susan Buffett said she was unsure of how her organization would spend the new funds. "We're all excited to be thinking about that over the next few months," she said. Representatives of the other two foundations did not immediately respond to requests for comment. Along with Microsoft (MSFT) founder Bill Gates and his wife, Melinda, Buffett has spearheaded a push to get other wealthy individuals to commit to giving away at least half of their fortunes to charity. The initiative, known as the Giving Pledge, has landed commitments from members of the super-rich including Facebook (FB) founder Mark Zuckerberg, Oracle (ORCL) chairman Larry Ellison and New York City mayor Michael Bloomberg.